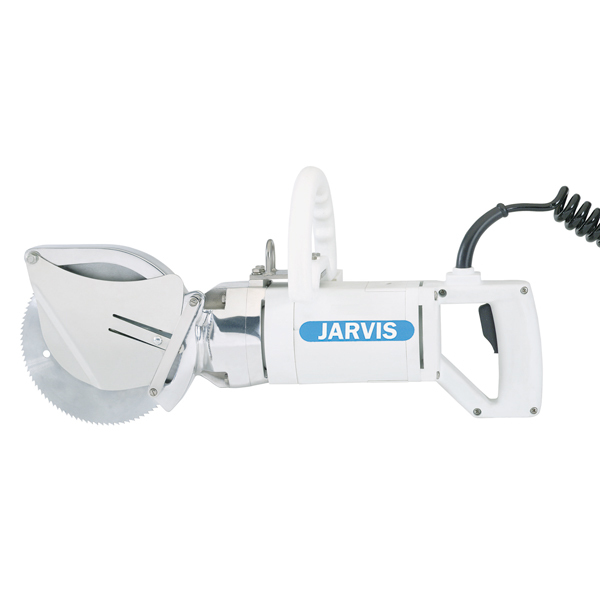 The Jarvis Model SEC 180-2 – electrically powered circular breaking saw. – Pork: ribbing, ham marking, shoulder marking and removing contaminated back bones. • Double insulated, 1.9 hp electric motor for ultimate performance. • Lightweight and flexible – allows operators to work with meat that is hanging or on the table. • Adjustable or indexing depth gage.